Who’s using Bitcoin to buy and sell goods and services?A lot fewer people than you probably would have guessed. After peaking at $411 million in September, the amount of money the largest 17 crypto merchant-processing services received in the best-known cryptocurrency has been on a steady decline, hitting a recent low of $60 million in May, according to research that startup Chainalysis Inc. conducted for Bloomberg News. 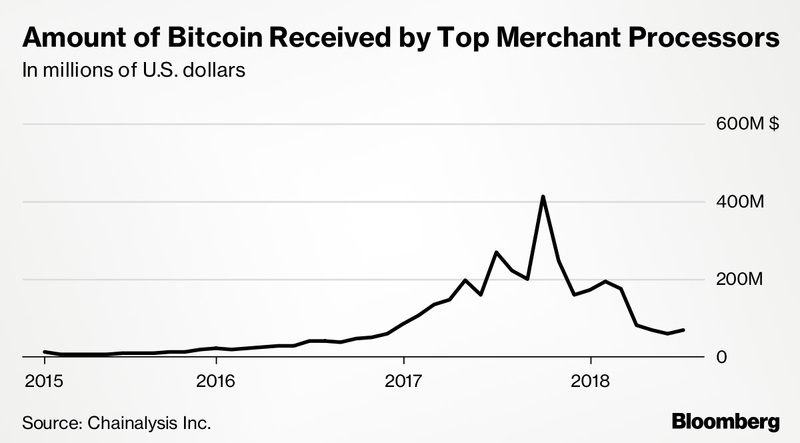 The decline in use for payments coincided with the spike in speculative investing that drove the price of the biggest virtual currency to a record high of almost $20,000 in December. 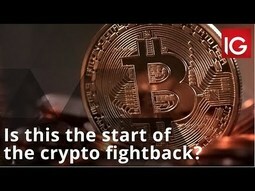 While Bitcoin’s price has steadied somewhat recently after crashing more than 50 percent, consumers still appear to be reluctant to use the digital coins for transactions.“When the price is going up so rapidly last year, in one day you could lose $1,000 if you spent it,” Kim Grauer, senior economist at Chainalysis, said in a phone interview. 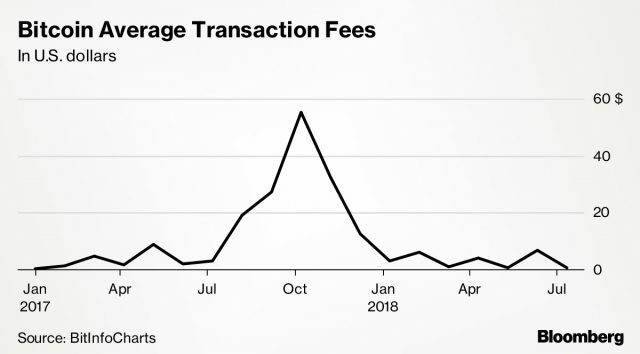 What’s more, high transaction fees have made paying for small-ticket items like coffee with Bitcoin impractical, she said.In January, payment service Stripe Inc. stopped supporting Bitcoin as usage declined and price swings intensified. A number of companies such as travel services provider Expedia stopped accepting the cryptocurrency as well. 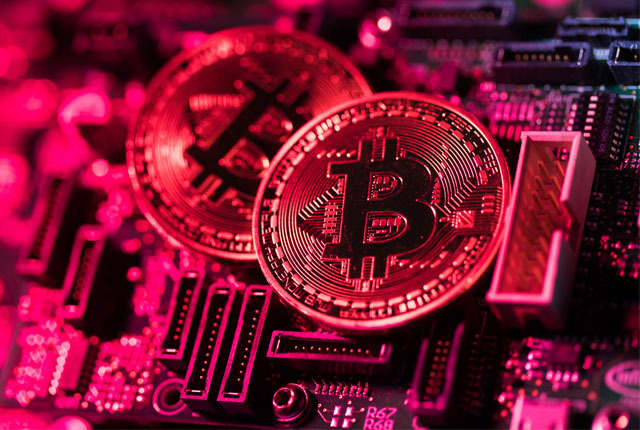 “Most people who are not Bitcoin core maximalists argue that yes, you need people to use these things as means of payment to become money,” Kyle Samani, managing partner at Austin, Texas-based hedge fund Multicoin Capital, said in a email. “Or as my co-founder Tushar likes to say, don’t think of money as a noun, but rather as an adjective. The more something is used as money, the more ‘moneyness’ it has. 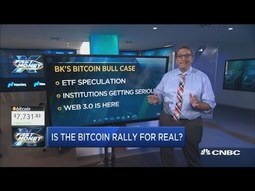 ”The way Bitcoin is being utilized is changing as well. Because the fees to process a transaction in Bitcoin can be steep and varied — they peaked at $54 in December, but are down to less than $1 today — not many people are using the coins for small transactions, like buying a cup of coffee. They are spending the virtual currency more to pay vendors like freelancers located overseas: For those cases, using Bitcoin can be cheaper and faster than using traditional financial services. “In the last six months we’ve seen a large uptick in crypto companies paying their vendors in Bitcoin, including law firms, hosting companies, accounting firms, landlords and software vendors,” according to Sonny Singh, chief commercial officer of processor BitPay. His company has seen a five-fold increase in crypto companies paying their bills from last year, he said.Bitcoin faithful continue to buy bigger-ticket items such as furniture, and still the occasional sports car. At Overstock.com Inc., crypto-based sales are up two-fold in the first half of this year versus a year ago, the company said. Top items bought with cryptocurrency include living-room furniture, bedroom furniture and laptops, according to the site. 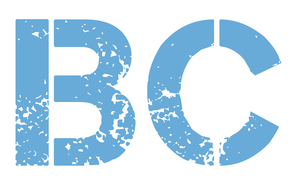 Many people, however, are only speculating with Bitcoin or selling off small amounts to convert it into a fiat currency, and use that to pay for goods and services. Long-time advocate Graham Tonkin said he converts his Bitcoin and Ether from time to time to cover credit-card bills. “I assume many people are like me, where you won’t be doing your everyday transactions in it,” said Tonkin, who is chief growth officer at crypto finance research company Mosaic.